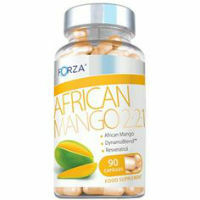 Forza African Mango Review – Is This Effective for Weight Loss? Forza African Mango is a diet pill that was created in order to be able to assist dieters in being able to lose weight as well as to better manage it once they have reached their goal body mass. This is meant to be accomplished through a formula that includes African Mango, an ingredient that has received a great deal of media hype over the last little while. The manufacturer of this product, Forza Industries, claims that the product works by encouraging weight loss in two ways. The first is through increased fat burning and the other is through a rise in the metabolic rate. When looking at the formula for this product, it is clear that this goal is not meant to be accomplished through African Mango (irvingia gabonensis) alone. It also includes a number of other substances. Among them are a trademarked ingredient called “DynamoBlend”, which is made up of caffeine, beta-alanine, and vitamin B12. 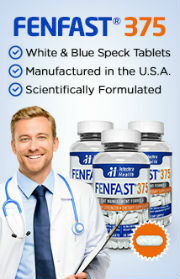 The final ingredient in this product is resveratrol. Of all of the ingredients on that list, there is only one that has a considerable amount of large, reputable evidence to support weight loss claims that have been made about it. That ingredient is the caffeine that is found within the DynamoBlend™. 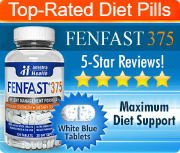 This substance can help to increase the metabolism and fat burning and may even assist in suppressing the appetite. That said, depending on how much of it is used, it could potentially also raise the risk of side effects among many dieters. That said, it is impossible to know how much caffeine is found within this product as it is a part of a trademarked ingredient that provides only an overall quantity of 200 mg and not the individual amounts that were used of each substance that makes it up. That said, the official website gives primary credit for the benefits of the product to its African Mango content. This, despite the fact that the research to support that ingredient has been limited and spotty, at best. This implies that the manufacturer is trying to draw the attention of consumers simply because their top ingredient has been popular, regardless of what science and medicine has been able to prove about its effectiveness and safety until this point. For this reason, it is difficult to find a reason to recommend Forza African Mango over many other products within this industry that come with greater support from reputable research.